Collaborate in 3D with Glovius. Push your files to the cloud and share them with your colleagues.View your files using a web browser. Use the free Glovius iOS and Android Apps to view your designs on your iPhone, iPad or Android device. Use the Push to Cloud feature in Glovius to upload your files to your cloud account. Login and access your files from anywhere using your web browser, no installation required. 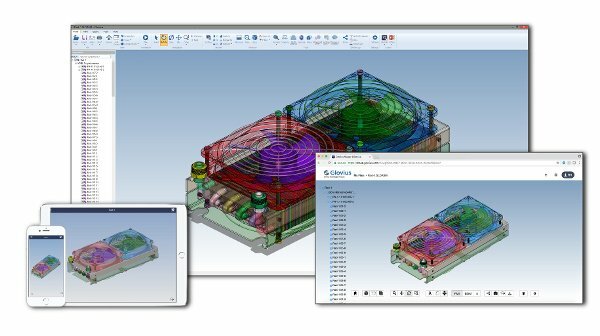 View, measure and section parts and assemblies. 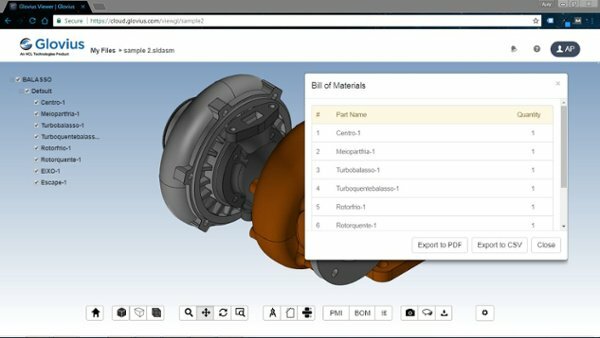 View Bill of Materials and Attributes. Add Markups and Share with colleagues for easy collaboration. Showcase your designs on the go with free Glovius apps for your iPhone, iPad and Android smartphones and tablets.